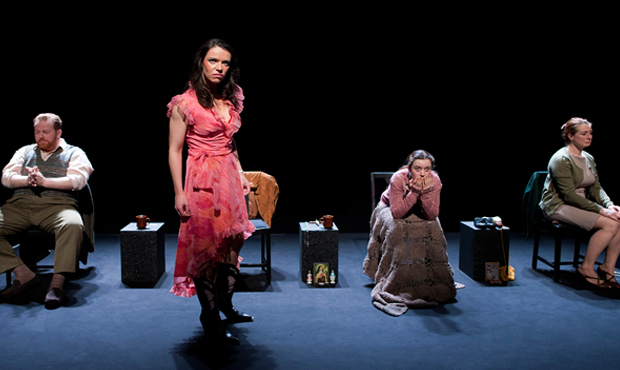 What a brilliant idea: to adapt Michel Tremblay’s classic play, Forever Yours, Marie-Lou, for the stage in English by setting it not in Quebec’s cultural revolution but rather in Ireland, with its Catholic–Protestant and class tensions. Translator Michael West has done just that, and the production is on stage in Bath, England throughout April. Tremblay writes a beautiful argument, one that ebbs and flows like a symphony. It’s almost flirtatious at times, tart and playful, as if forged out of fondness rather than frustration, but when it wants to be, it’s as bruising as a thumb forced into flesh. Forever Yours, Marie-Lou is available from Talonbooks as an English translation by John Van Burek and Bill Glassco. A new edition, a new translation by Linda Gaboriau, will be published this fall under the slightly different title Yours Forever, Marie-Lou. Watch for it!